Ronnie Kasrils is a former South African politician and anti-Zionist activist who praised Hamas, has characterised Israel as baby killers who behave like Nazis, and described Jews throughout the world who support Israel as enemies of humanity. 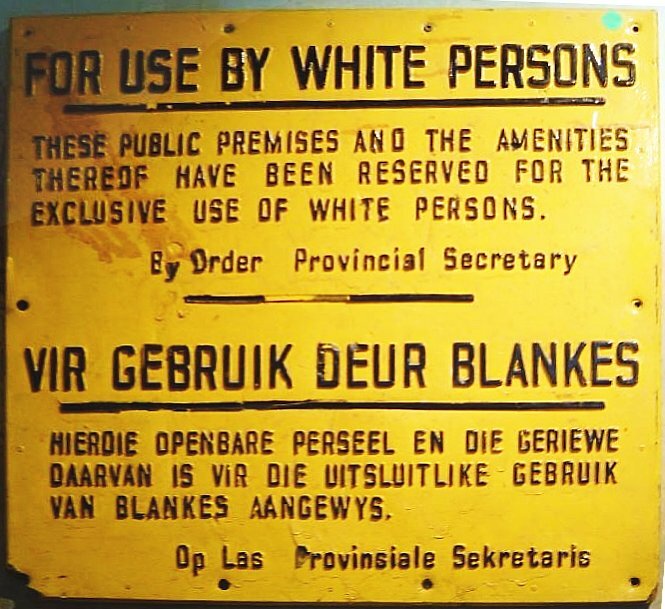 Apartheid South Africa was a country with a codified system of racial discrimination and white supremacy, with laws prohibiting blacks from living in white communities, going to white schools, and using public accommodations. It denied blacks the right to be represented in the legislature, barred them from most industries and told them who they could and couldn’t marry or have sexual relations with. Israel not only doesn’t have anything even resembling such racial laws, but is, according to the respected human rights organisation Freedom House, the only true democracy in the Mid-East – a multiethnic democracy with independent institutions that guarantee political rights to its citizens. Israel’s Arab citizens are not only represented in the country’s legislature, serve on its supreme court, and can work and associate with whomever they choose, but, based on polling, are proud of their Israeli citizenship. We agree with Ronnie Kasrils that “valid criticism of Israel is not antisemitic”. In fact, nobody argues the opposite. However, even leaving aside the IHRA definition, it is antisemitic when you demonise the Jewish state – criticising it out of all reasonable proportion – in a manner similar to how Jews as individuals have been demonised throughout history. Now we live in a different civilization, where the most loathsome qualities are racism, colonialism, apartheid. And lo and behold, the greatest offender in the world today, with all the beautiful countries of the world, is the Jewish state. The Jewish state is the symbol of the genocidal, racist, apartheid state. What that means to me is, criticism of Israel is not anti-Semitism. Criticism of Israel’s existence — denying Israel the right to exist… — that is anti-Semitism. That is a classical continuity of thousands of years of symbolizing the Jew. [It also] places you in very uncomfortable company. That kind of language can come today from the far left. It can come from white supremacists. It can come from Islamist extremists. It can come from many sources, but all of those groups converge on one idea: The Jew remains humanity’s great problem. Whilst it’s not fair to label most Guardian journalists and editors individually antisemitic, one thing seems certain to us after all these years: Their obsessive criticism of Israel day in and day out, characterising the state as not only flawed but as some sort of organic obstacle to peace and progress in the world, promotes and is likely inspired by the idea that the Jew is indeed “humanity’s greatest problem”. It is actually antisemitic when one continues to gravitate toward unchallenged, simplistic tropes like Mr. Farmer’s. Anyone with a basic grasp of Israeli history (or grasp of basic honesty) knows Israel has come to the table with credible offers of a two-state solution since its founding. Arab factions’ counter offers have always been in the form of terrorism and warmongering. Arab factions have been attacking Jews decades before Israel was even founded and refused even offers of their own single state, insisting that they were territorial extensions of surrounding countries. Maybe there would be “world peace” if antisemites hiding behind anti-Zionist canards would stop enabling Arabs and encourage them to desire their own Palestinian nation more than desiring a Palestinian nation built on top of Israel. r0nnie kasrils i would not give you the time of day. many years ago, you brought your mother to a funeral and left her on her own. she came up to me and asked me if i knew who she was. not knowing, i went around asking everybody if they knew her. that is how i found out. the poor lady, was so distraught, that i wanted to cry with her. you do not care for your own, so how can you care for anyone else? i am sure that youn are a self hating jew. if you hate yourself, then you definetly need psyciatric help. that is one of the reasons you chose the wrong side. empty vessels make the most noise, but they are still empty. you were against society when you were here in south africa, nothing has changed. Oh and since it is not “direct” it means that it’s indiscriminate i.e., meant to kill any Jews. Whilst born Jewish, Kasrils long ago gave up being Jewish and trots it out only to serve his anti-Israel agenda. It has been proven painstakingly that Kasrils’ writings and opinions are distinguished by factual errors, a pervasive use of double standards in argumentation, a rich array of logical fallacies, and above all the distortions, malignant insinuations, and outright falsehoods, both about the historical conduct of Israel and about the historical conduct of Jews, at its heart. Kasrils should be shunned by intellectual and academic circles following his foray into the land of chicanery and bigotry. But far from being shunned, Kasrils has become a media superstar. Ronnie Kasrils is an imaginative advocate of unconvincing and failed world-movements, a bundle of prejudices, intuitions, ignorance, half sciences and distorted history. He is a caricaturist rather than a serious commentator on the Middle East. He’s full of it, he never cared about Israel or the jews, since he was in his teens he marched with the most insalubrious crowd of Cape-Town with the Habonim, the less attractive characters ended worshiping the Communist credo, he became a cadre, an unhappy miserio who dedicated his life to the ANC who benefited immensely from Jewish talent, legal help, connection, material help to bring the downfall of apartheid, neither he nor the leadership of the ANC reacted favorably to the Jews, they became the most bigoted lefties in Africa. This moron does not one thing about Israel, which represents to him everything that the ANC will never be able to deliver to its population. he is an old bitter Communist, trotting him to bash Israel is a cheap trick of display. The International assn against Anti Semitism racialism and Discrimination condemns the ANC Mr Ronnie Kasaral and the EFF for discrimination and racialism against the whites of South Africa as well as the Anti Semitic and raciast remarks against the State of Israel and states that if the Republic of South Africa wishes to be a racist country then it will be isolated like it was during the Apartheid error by the rest of the world as it is considered as a danger for people to visit and a danger especially for the white farmers and its white and jewish citizens. The irony is that Ronnie lies about Israel the way Nazis lied about Jews. Good times with the Guardian, the world’s No. 1 resource for anti-Semitic material.